War? : South Korea renews vows of retaliation against North Korea | PinOy SPY! SEOUL, South Korea South Korea’s new defense minister took office Saturday and vowed a strong military response that would force rival North Korea to surrender if it attacks the South again. 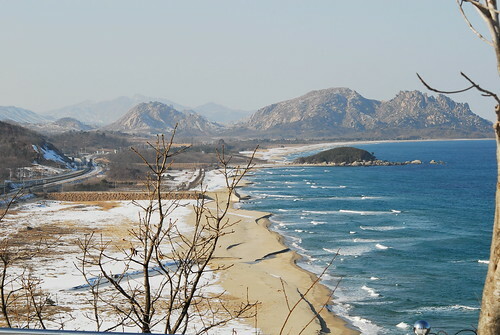 This is the view of North Korea from the Unification Observatory on the upper-most northern east coast of South Korea. In January of 1965, twenty-four-year-old U.S. Army sergeant Charles Robert Jenkins abandoned his post in South Korea, walked across the DMZ, and surrendered to communist North Korean soldiers standing sentry along the world’s most heavily militarized border. He believed his action would get him back to the States and a short jail sentence. Instead he found himself in another sort of prison, where for forty years he suffered under one of the most brutal and repressive regimes the world has known.